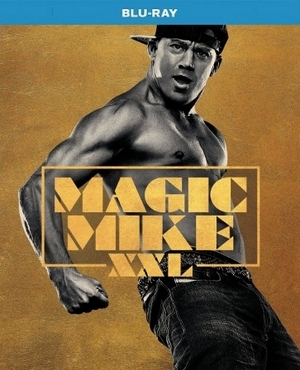 Three years after leaving the world of male striptease behind to start his own company, Michael "Magic Mike" Lane (Channing Tatum) finds himself a tad bored and frustrated by mainstream life. His girlfriend (Cody Horn, unfortunately not featured here in any capacity) left him after a proposal gone awry, and his entrepreneurial spirit has run headlong into day-to-day hardship and tedium. For a change of pace, he reunites his former Kings of Tampa co-stars (Matt Bomer, Joe Manganiello, Kevin Nash, and Adam Rodriguez) on a summertime road trip to Myrtle Beach; their leader and Faustian father figure Dallas (Matthew McConaughey, understandably absent) has emigrated to Macao, and they plan to give an epic final performance at an exotic-dance convention before moving on. This is a film almost entirely devoid of external conflict or tension: the Kings of Tampa may harbor slight resentment toward the title character for his abrupt exit, but any negativity is rapidly pacified, and the climactic destination, the strip convention, does not seem to be a championship-game type of competition, but rather a showcase where everyone wins, particularly the female crowd. Instead, the focus is on athleticism, camaraderie, intimate moments of slice-of-life road-trip whimsy, and a general tendency toward the uplifting and the uptempo (with, of course, a nocturnal twist). The impact therefore is not as significant as the first film's, which functioned as a cautionary drama and a contemporary economic parable delivered via the ecstasy and camp of a dance film, but the sequel is still a worthy and distinctive ride.